Kale is a super healthy vegetable. It is a member of the broccoli family. What makes it good, in my opinion, is the seasonings you use to serve it with. You will need a pan large enough to hold the kale. It also needs a tight fitting lid. 12 cups torn up kale. Use whatever kind of kale you prefer. Add a small amount of water to your large pan and bring to a boil. Add the kale, cover, turn down the heat and let it steam for 7- 10 minutes. It need to be tender, but don’t overcook or the kale will be bitter. While the kale is steaming, mix the remaining ingredients in a large bowl. 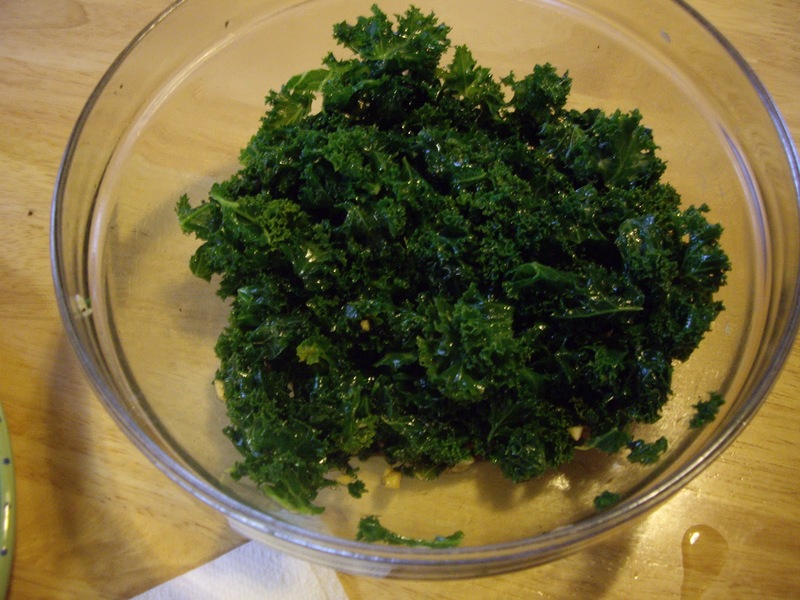 Remove the kale from the heat and pour into a colander to drain any water. Add to the lemon juice mixture and toss to completely coat.